We have a generous 40% off everything in the lead up to Mother’s Day, we’ve had our UK Mothering Sunday, now it’s time for the rest of you to treat your mums. Use Etsy Code: MOTHERSDAY15 and find something special! As we’re a UK company, this offer can help you find a beautifully unique gift and offset the higher cost of international shipping! 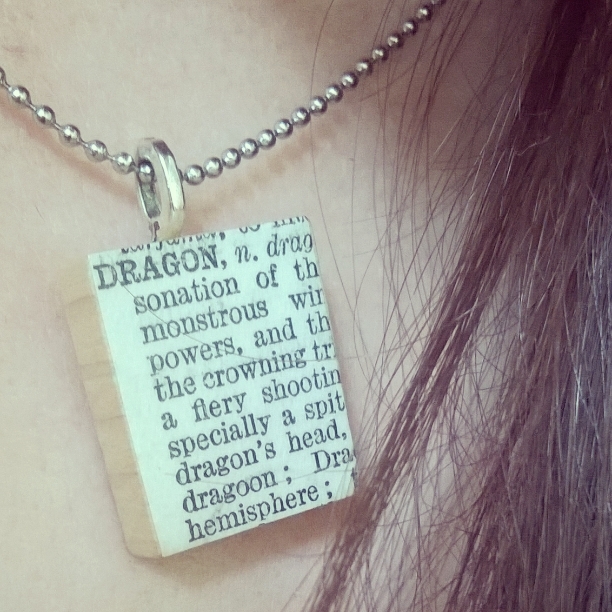 My own Dragon dictionary necklace. I still wear the very first necklace we made, a prototype, one of our Scrabble style dictionary necklaces, perfect for any writer or for anyone who loves words. This one’s not for sale, but message us via our Etsy shop and see if we have the perfect word for you, or for you Mother, or your loved one. We have some very happy commission customers. 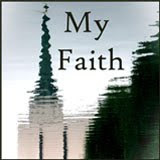 The Kindle eBooks are on sale from 26th April to 10th May on Amazon. 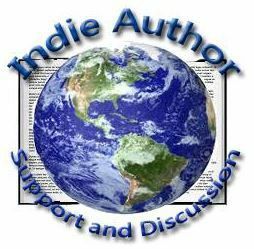 Both books are also available in paperback at Amaranth Alchemy on Etsy offering 40% off – thus giving you a substantial discount off signed books! Note: Mothering Sunday is on Sunday 10th May in the US and much of the rest of the world. 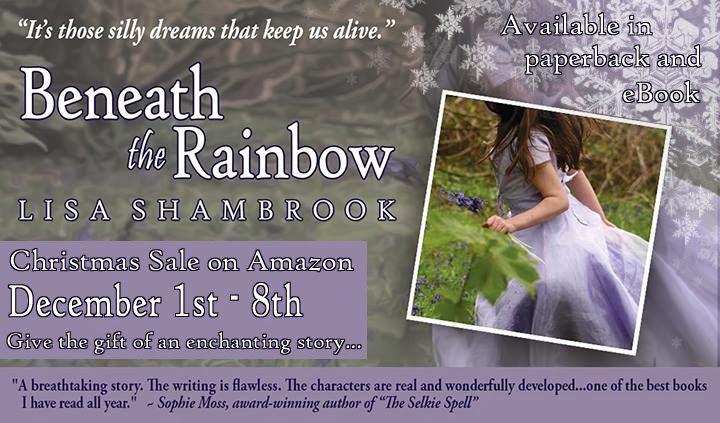 This entry was posted in Amaranth Alchemy, Art, Books, Fiction, My Books and tagged Amaranth Alchemy, Beneath the Old Oak, Beneath the Rainbow, book page art, book page gifts, books, discount, etsy, gifts, Lisa Shambrook, Mother's day, novels, paperbacks, sale, unique gifts on 22nd April 2015 by Lisa Shambrook. Your mother’s heart will be captured as this uplifting tale charms her…give her an enchanting gift for Mother’s day this year! 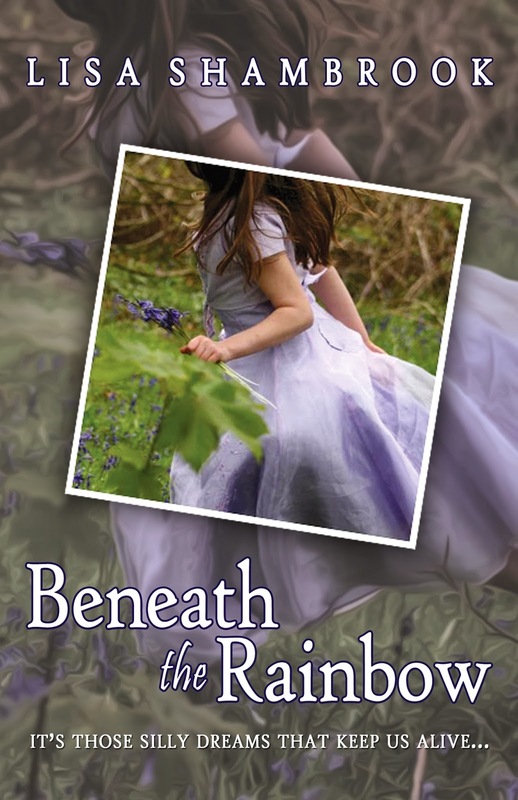 Mother’s Day is a time to think of families and flowers…so give the gift of an enchanting book this Mother’s Day. ‘Beneath the Rainbow’ is on sale from 23rd to 30th March on Amazon. 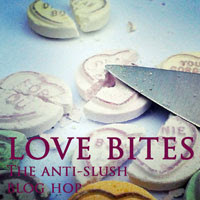 Kindle UK £1.35 and US $2.25. Also available in paperback. Note: Mothering Sunday is on Sunday 30th March in the UK and Sunday 11th May in the US and much of the rest of the world. 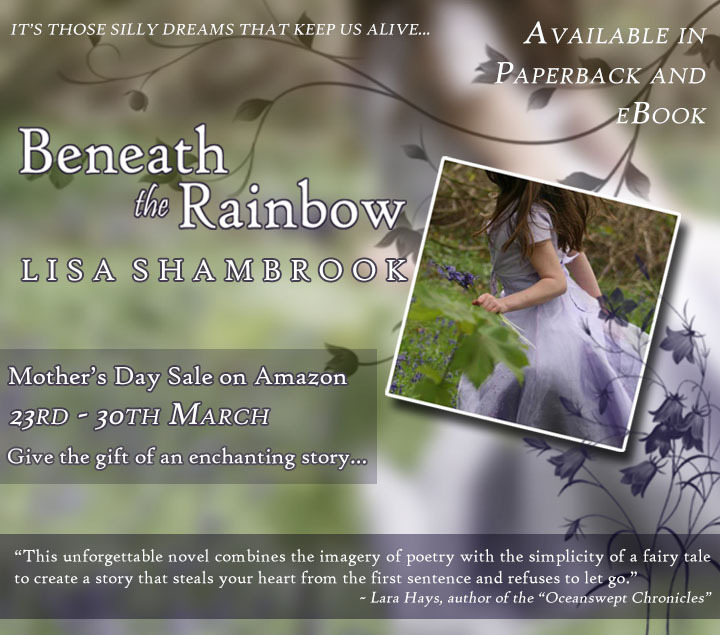 This entry was posted in Books, My Books and tagged Beneath the Rainbow, Mother's day, sale on 25th March 2014 by Lisa Shambrook. I’m a bit late in promoting this, post NaNo delirium…but better late than never! The prices are currently: Kindle version is now 77p ($1.25) and the Paperback is £5.10 ($8.09) until the end of the week 1st – 8th December. 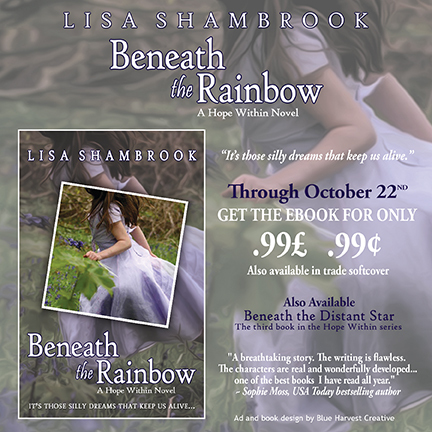 This entry was posted in My Books and tagged Amazon, Beneath the Rainbow, reduced, sale, trailer, video on 4th December 2013 by Lisa Shambrook.